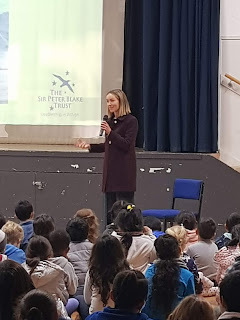 As part of the Sir Peter Blake leadership week, Isobel Ewing, a journalist from Newshub, came to school to talk to us about her journey to success. Isobel talked about the 4 key points that has helped her reach her dream. 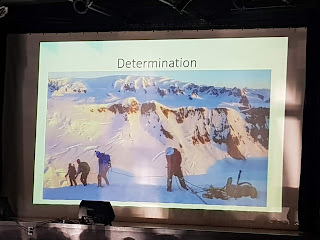 Failure, determination, talking to people and following her passions. Isobel at the top of a mountain in Antarctica! Isobel has inspired Room 8 to starting dreaming big by thinking about where we want to be in 10 years time and want we need to start doing to get there. After the assembly with Isobel.